Special Easter Trading Hours folks. 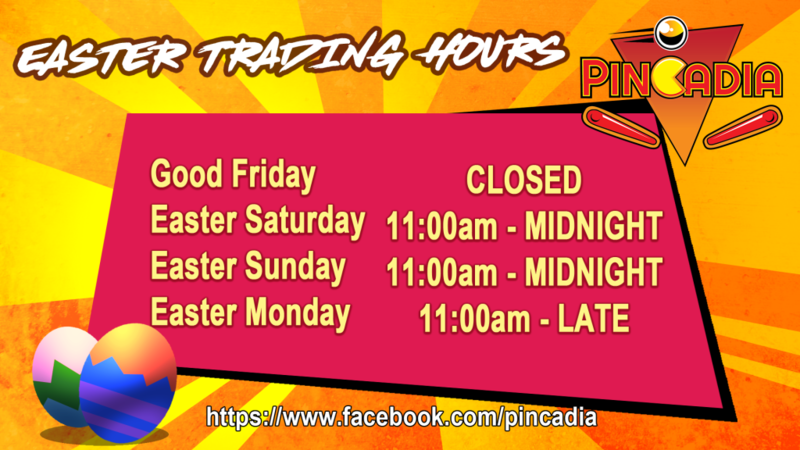 Hop into Pincadia this weekend. Closed Good Friday and then open the rest of the Easter weekend including Monday! Yes, this time next week we will have the Pinball Alley, Arcades Machines and Board Games ready to keep you entertained.